In partnership with a lawyer and a financier, I was the developer and, with a trusted foreman, the builder of this project. 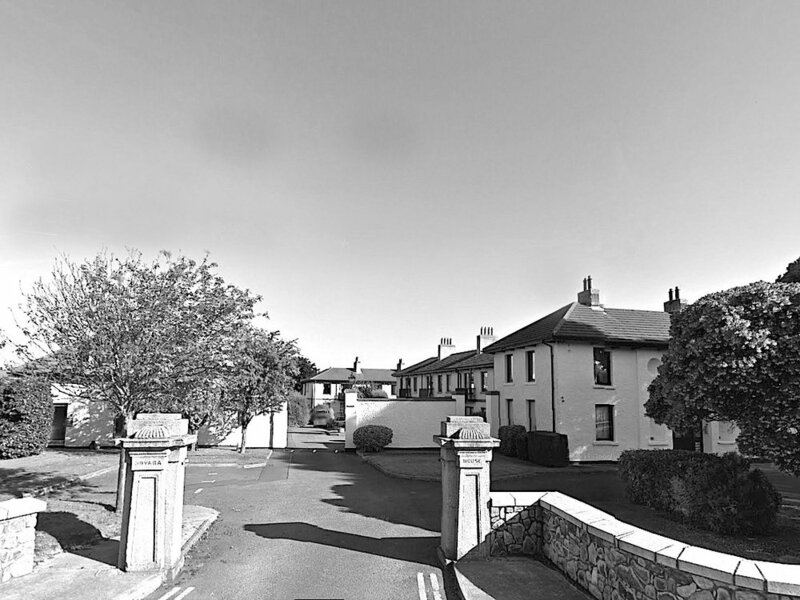 We bought an old house of heritage significance dating from the late 18th century, one of the oldest houses in the seaside town of Bray, standing on 0.3 hectare (3000 sq.m). We had to substantially rebuild the old house as it was riddled with dry rot, we retained the external walls and put a new roof on it to match the original with the original slates, and created 4 single bedroom apartments. An old set of stable and coach houses were removed and rebuilt, in the same form, 4 'coach houses' with dormer windows to lofts accessed by spiral stairs. We then inserted two blocks of 8 apartments, using a design aesthetic in keeping with the original old house, but with modern Scandinavian hinge/tilt pine windows with low cill heights and wooden balcony pulpits hung from the eaves and stained in coloured wood stain - by Danish 'Sadolins'. During the development the Irish economy collapsed, interest on borrowed money went to 22% and personal mortgages to home buyers went to 14%. The project did get finished, and eventually was all sold but, significantly, the date of my emigration to Australia was 1986. I do not have any good photos of the completed development.